If you have dealings with spirits this holiday season, like Ebenezer Scrooge you may find your bedrest disturbed by an unwanted guest. And we don’t mean the Ghost of That Needy Text Message I Sent To My Ex Last Night. No, this unwelcome visitor is the hangover. Anyone who has experienced a hangover knows the symptoms: the dry mouth, the pounding headache, the swirling nausea, and the burning resolve to never drink that much ever again. The search for a hangover cure is as old as fermentation. Some of us guzzle a jug of water, swallow a vitamin, or fry up some greasy eggs benedict. The truly desperate have been known to rub a lemon under their armpit, wear a garland in their hair, or try a preparation of soup of congealed ox blood. But is there really a hangover cure? This review found that some compounds could reduce specific hangover symptoms, such as headache. This is similar to how a cold medicine can help with a stuffy nose, but won’t cure the cold itself. But even then, the science of the hangover is complex and not yet fully understood. Many people think dehydration is the culprit behind the hangover, but research has suggested that dehydration alone may not be responsible for the hangover’s memory impairment and mood changes. Alcohol also ruins your sleep, and disrupts your immune system. So the hangover is likely a mix of exhaustion, thirst, and the body going haywire because it has recently been poisoned. That makes it a pretty difficult situation to fix with a pill. So what can you do to avoid the hangover? The answer is actually quite simple: either don’t drink, or drink less. The more you drink, the more likely you are to wake up with a hangover. You should also be particularly cautious of any hangover medicines sold online. These may not be approved for use in Australia, and may not be safe or contain the advertised ingredients. Hangover remedies are also prohibited imports, so if you try to import one, you risk a fine. If an advertisement for a hangover medicine promises a cure or encourages irresponsible drinking, then it is likely in breach of the Therapeutic Goods Advertising Code. Advertising complaints can be lodged through our online reporting form. So this holiday season think carefully if you dabble with spirits, or any other alcoholic drink. Don’t rub a lemon under your armpit, unless you really want to. 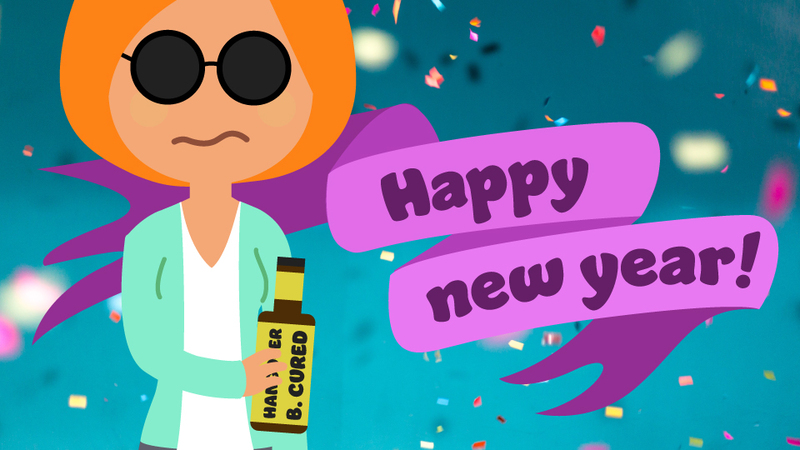 Drink responsibly, and plan to start the New Year untroubled by that unwanted visitor, the throbbing hangover.